This week there's been a downright flurry of blog posts, magazine articles, and all manner of websites offering tribute to Agatha Christie since today marks what would have been her 125th birthday. After several readings of all of her crime novels and various short story collections, she's still as much fun to read now as she was when I first started reading her books. She's even currently our entertainment a couple of nights a week -- Larry bought me the complete Poirot DVD set a little while back and we're going through them one by one, according to publication date rather than date of production. 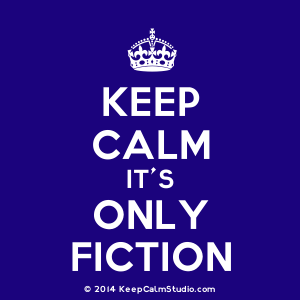 And I have to say that even Mr. Film Critic likes them and blurts out his own theories on the crimes now and then. Trust me, that's saying a lot. 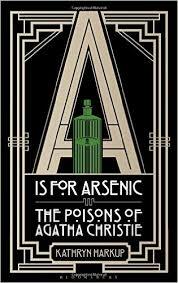 My contribution to celebrating Dame Christie's career is to read a new book that just came out this year, called A is for Arsenic: The Poisons of Agatha Christie. It's written by Kathryn Harkup, published by Bloomsbury, and so far it's magnificent. Not only do you get the lowdown on poisons Christie used in her book, but you get all kinds of cool historical information and murder cases where those particular poisons were used. I'm still on Arsenic since I just started this two days ago and got sidetracked but I am having a great time reading it. 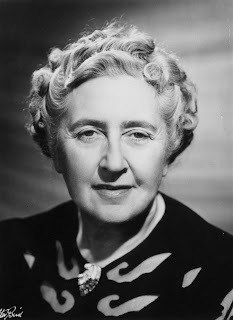 I'm sure by now that anyone reading this post knows I tend to read books that are a bit off the beaten path, but from what I can already tell, serious, dyed-in-the-wool fans of historical crime (and Agatha Christie, of course!) are going to want to read this book. More later when I'm finished. Exploring beyond mainstream is what I love to do.